Branding is an important piece of any company. 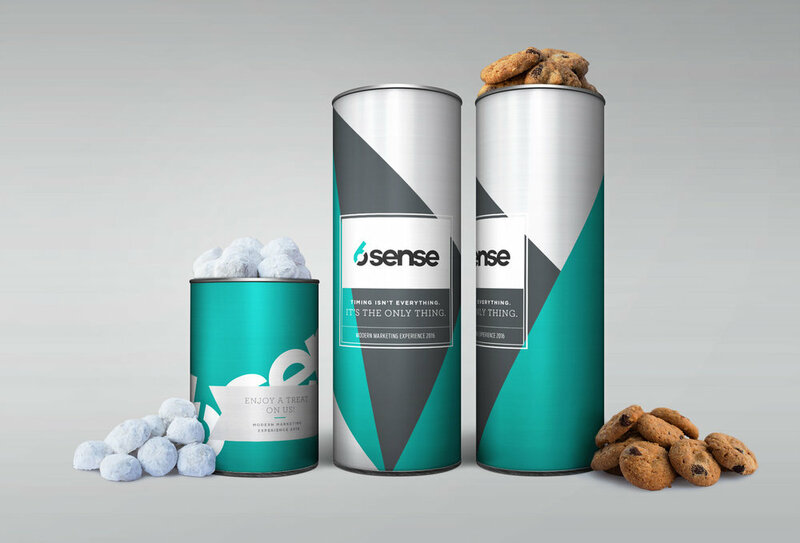 Custom designed canisters of cookies or snacks are a unique way to get your name out in the community to WOW employees, clients, and customers alike. Where to start? Samples below give just a few ideas of how custom designs have been used in various ways. Auto dealerships use custom designed canisters as show above as a thank you gifts. The canisters fit perfectly in the cup holder and are a great surprise when the purchase is completed, in the waiting room while service is being done, or any other way you can think of. Mix and match our 8in canisters and 4in canisters for your next event. Not only can you mix and match the size, but you can also change up the design and fill! Events are a great time to get your name out and gain brand recognition. With a unique and custom-designed canister event attendees will remember you. Create and edible business card with our 8in canisters. A perfect way to say thank you after a meeting, or as a sweet introduction. With our custom wrap, you have lots of room to customize your self promo canisters with your logo, contact information and a special note to the recipient! We can help you create custom designs that stretch across multiple canisters. Our canister wraps let you create a variety of colorful designs perfect for any gift! Add a special touch to your canister designs with your contact information. Our variable data option helps you create a special canister design perfect for any occasion.